Over the past year, central banks, commercial bankers and prominent economists have expressed the view that digital money and transfers should replace large denomination cash and cash transactions. This dramatic transition has been fostered under the guise of the public interest in an effort to curb terrorism, tax evasion and criminal activity. Many observers contemplate more sinister motives that involve increased government control of economic activity. The latest country to engage in this ‘war on cash’ is India. 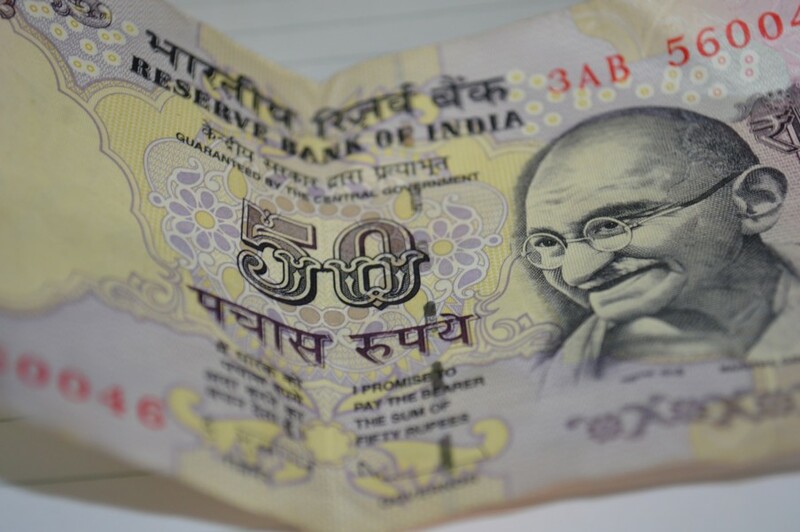 In a TV announcement on November 8th, India’s Prime Minister Narendra Modi announced that the Reserve Bank of India’s large denomination 500 and 1,000 rupee bank notes, worth some $7.5 and $15 respectively, would lose their status as legal tender on midnight on December 31, 2016. That meant holders of those notes (which represent 86 per cent of the value of all outstanding rupee notes) had less than two months to exchange the notes for smaller new notes, or lose out completely. The government also mandated than any large exchanges had to be accompanied by tax returns in order to prove that the cash generated had already been taxed. The shock waves from this announcement fueled fear and panic among the Indian population which is heavily cash-oriented. As few people have bank accounts and banks are thinly spread in rural areas, many Indians have been left holding paper currency redeemable only in banks which often are difficult to access. To make matters worse, banks soon ran out of small denomination notes. The result was chaos, rioting and trauma-induced deaths. Millions of poor Indians were unable to buy necessities or transact business. Many merchant shops had no alternative but to close. The BBC’s website notes that India, the world’s seventh largest economy “…is overwhelmingly a cash economy, with 90% of all transactions taking place that way.” At a sudden single stroke a socialist Prime Minister has converted most of the nation’s private cash into bank deposits subject to direct governmental controls including spending and withdrawal limitations. Furthermore, the new bank deposits can be leveraged up as bank loans to government and to allow banks to purchase government bonds to finance social programs. It remains to be seen how severely India will be hit and what effect it will have on the international economy. With much of the world focused on the U.S. Presidential election, this Indian currency event was little reported in the western media. The Indian action was a largely unexpected escalation of the ‘demonetization’ movement that has been spreading through the U.S. and Europe. This past year, Larry Summers proposed the withdrawal of the $100 bill and the ECB announced an end to printing 500-euro notes. The idea has been supported widely. With the notable exception of The Wall Street Journal, major news media including The Economist, The New York Times and a recent Harvard paper have called for the elimination of high denomination currency. It could hardly be coincidental that just this week Nicolas Maduro, the bumbling socialist dictator of Venezuela, surprised his nation with monetary changes that are nearly identical to those being pursued by India. The collapsing Venezuelan economy already had the highest inflation rate in the world, and its starving citizens have had to transact what little commerce they can with ever larger stacks of nearly worthless currency. But to add insult to injury, Madura just deactivated the 100 Bolivar note, the country’s largest note denomination, which until recently had a value of just 3 U.S. cents. Although the government predictably claimed that the move was aimed at speculators and foreign capitalists, it will be the poorest Venezuelans who will suffer most acutely. As in India and Venezeula, the reasons given for the elimination of cash is to protect citizens from terrorism, tax evasion and crime. Of course, when all financial transactions have to flow through banks, they can be monitored easily. Undoubtedly this does hinder some aspects of terrorism, tax evasion and crime. But the real reasons for demonetization are given far less oxygen. The move is spurred by the need to protect the ever larger “too big to fail” banks and the ability of governments to control and even legally utilize the private wealth of citizens. Cash can be sheltered from government, bank deposits cannot. The advent of zero and negative interest rates has reduced investment reward and resulted in a tax on savings. In a low, or negative, rate environment, those with cash have little if any financial incentive to hold money in banks. Cash hoarding is the logical alternative. In economic terms, hoarded cash becomes dead money. Outside the system it contributes nothing to economic activity. Specifically, it deflates the velocity of monetary circulation, a vital element of economic growth. Perhaps more importantly to a technically insolvent banking system, deposits withdrawn from banks, especially when combined with a rising rate of non-performing loans, can result in potentially fatal capital shortages. In today’s over-leveraged and derivative-infused financial markets, a serious banking failure could escalate like lightning and threaten the entire international financial system. In their 2015 rescue of Cypriot banks, the IMF, ECB and western politicians effectively devised the ‘bail-in’ as a new, less visible alternative to politically unpopular citizen bank bailouts. In a bail-in, it is the shareholders, bondholders and, ultimately, bank depositors who are called upon to fund an insolvent bank rather than injecting public funds. Despite the precedent of Cyprus, it remains surprising how many citizens remain blissfully unaware that when they open an account, they become creditors of the bank. Despite retaining rights to the funds, they no longer own the monies. In addition, if excessive government borrowing results in a collapse of government bond markets and a potentially crippling rise in interest rates, legislation mandating that each citizen hold a certain percentage of their wealth in government bonds would not be unrealistic. With digital money, bank computers can execute such commands quickly and easily. The depositor has no recourse other than the ballot box. While cash hoarding may offer added security to cash holders, as dead money it results in politically harmful damage to economic growth rates rendering banks more vulnerable. It follows that the increasingly ferocious and aggressive war on cash is a sign that central banks may see a dangerously deteriorating situation, one that has led to a feeling of desperation by governments and a strong wish to establish a legal means to control the wealth of citizens. They appear to be using political statements by banks, economists and the mass media to secure a meek surrender to a cashless society and the potential utilization of citizens’ accumulated cash wealth by legal means. Cash is an efficient, free, and private means of payment for ordinary citizens, particularly those without the funds to pay ever-increasing bank charges. Following the January 2016 World Economic Forum in Davos, the war on cash appeared to intensify. At that meeting, PayPal’s CEO, Dan Schulman, claimed that 85 percent of transactions, by volume rather than by value, are in cash. Regardless, at the same conference, Deutsche Bank co-CEO, John Cryan, described cash as “terribly inefficient.” He predicted that we would “probably” see no more cash within the next ten years. Already, some major countries have limited cash transactions for law abiding citizens. In Italy, the legal limit for cash purchases is some $1340, in France the limit is 1,000 euros. Even in the UK, any cash transaction above some 15,000 pounds must be reported to the Inland Revenue. In the U.S., the mandated reporting figure to the Internal Revenue Service is $10,000. Some notably highly leveraged banks including Deutsche and UBS have called for the elimination of cash, while Citibank has eliminated cash in some of its Australian branches. As early as 2015, JPMorgan Chase warned that it would no longer accept cash in its safe deposit boxes. Separately, Chase said it was restricting cash payments for credit cards, mortgages, equity lines and auto loans. The Indian government’s capture and compulsory transfer into bank accounts of some 86 percent of its citizens’ cash was a shock to Indians and to informed people around the world. It will be studied for lessons learned by the western nations as they pursue their own wars on cash. Likely they will take a more gradual approach, supported by mass media and senior bankers’ statements to support their assaults on the cash of compliant citizens. Whereas recently impoverished Indians may turn to silver, those in the developed world may look increasingly to gold as a store of wealth. The extent and speed of the exercise of governmental power to restrict the use or to control the accumulated wealth of citizens never should be ignored or underestimated. John Browne is the Senior Market Strategist at Euro Pacific Capital.